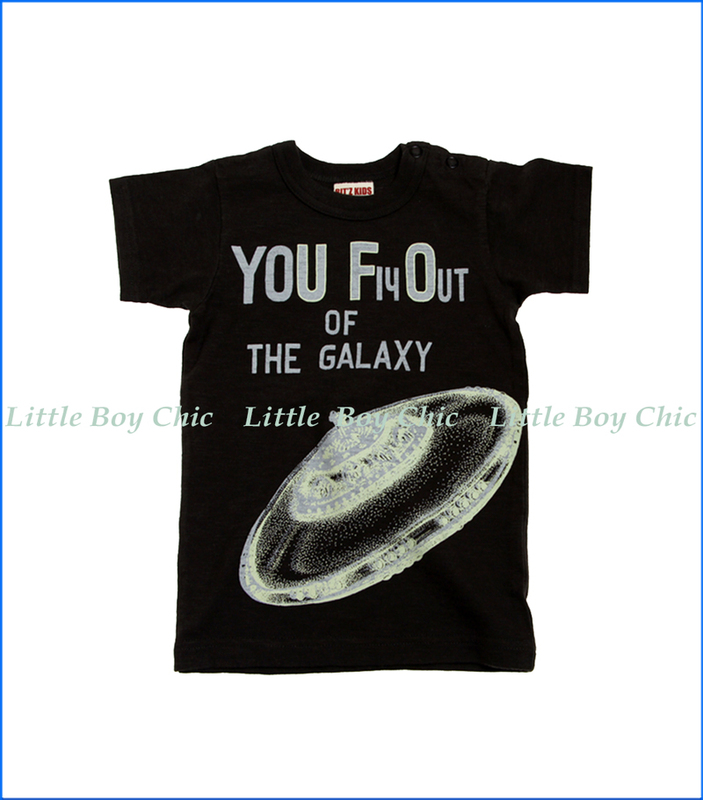 This short sleeve (S/S) t-shirt, from our Japanese line Bit'z Kids, is a favorite for space fans, where the UFO is spun to "You Fly Out". The glow in the dark graphic lettering adds a layer of playfulness. Super soft hand feel with all cotton fabric. Form fitting. 2-3years size has snap button on left shoulder for eas of getting our boy dressed. 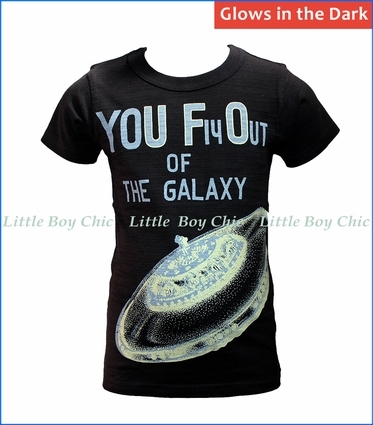 Makes a great birth-day gift.